John Lewis has seen growth from both its in-store, online and mobile channels across its John Lewis and Waitrose branches. 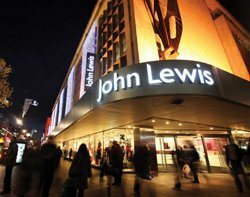 John Lewis has seen growth from its in-store, online and mobile channels across branches of John Lewis and Waitrose. The department store saw sales online for John Lewis and Waitrose rise by 19.2% and 41.4% over the year ending 25 January respectively, as well as significant growth from mobile and the use of its Click & Collect service. Waitrose also saw like-for-like sales in-store grow by 5.1%, due mainly to volume growth, while John Lewis in-store sales told a similar story with like-for-like sales growing by 6.4%. Overall, the retailer saw pre-tax profits fall by 4% to £329.1m, due to paying pension schemes and paying holiday premiums – an administrative mistake revealed by the company in August, which saw staff being underpaid holiday pay. But pre-tax profits before these exceptions increased by 9.6% to £376.4. This year saw Waitrose.com revamp its website to improve shopping experience to make it more tablet-friendly and easier to navigate, register and search for products. Consequently over the year it saw grocery sales rise by 41.4%. The retailer also committed to helping its customers shop easily across its channels, and in turn 57% of all John Lewis Click & Collect orders were picked up from a Waitrose store, which amounted to 2.5m. “We are exploring more ways to integrate our channels and are trialling drive-through collections in five shops. We began a pilot for collection lockers last July,” said Charlie Mayfield, chairman of John Lewis Partnership. Meanwhile JohnLewis.com saw growth of 19.2% to £1.1bn, following a new web platform launch during the first half of the year. Its mobile channel also grew rapidly with visits from phones and tablets accounting for 50% of traffic. The retailer has also seen growth of its loyalty schemes. John Lewis launched its first loyalty card last October, about a year behind Waitrose’s myWaitrose loyalty scheme, which used similar methods. “We have also introduced greater personalisation to the relationship with customers, particularly with myWaitrose. To deliver all of this we continue to make improvements to branch structures and are giving greater emphasis to the importance of our leadership teams creating opportunities for individual Partners,” said Mayfield. The retailer said myWaitrose cardholders now account for 68% of sales. Mayfield said the myWaitrose card allows the company to “deepen its relationships with customers” by creating more services and hospitality, and creating additional reasons to visit branches. Paul Coby, IT director at John Lewis, told Computer Weekly last week the organisation had 400,000 customers who had used the loyalty scheme.